Smacksy Saturday Photo: The Zucchini That Took Over the World - . 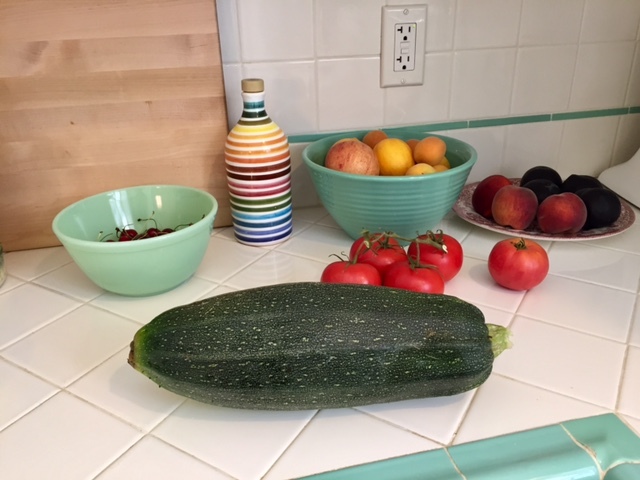 Sometimes, you're pretty sure your giant zucchini plant hasn't produced anything yet.Then you find a green torpedo as big as your forearm hiding in the back. This photo is not employing forced perspective or trick dollhouse-sized background bowls. The squash really is just that big.